I spent most of my childhood days with my family in a small rural town in Ibadan, Nigeria. We had a farm surrounded by a chicken coop, a water well, and Aloe-Vera plants. The farm was small-sized, fenced, well-defined and well-cared-for. During weekends or when we returned from school, my siblings and I would often run through the farm, playing hide and seek and creating our own version of the tag game - "Police and Thief". Daddy was partly into poultry farming and enjoyed growing various kinds of plants and crops (mostly food crops). The rest of us assisted him in our own way. In the rainy season of 2007, my family and I planted a fair amount of cassava. Cassava (Manihot esculenta) is a very popular source of food in Nigeria. The starchy tuberous root of cassava is mainly used as a source of food of different kinds in Nigeria. Garri, fufu, akpu, amala, lafun, abacha, among others, are foods derived from the cassava tuber. I remember placing the cassava cuttings in the soil in a slanting position with the aid of a sharp cutlass and my bare hands. You are probably thinking that is one messy business, but the soil is not just dirt, 95% of the food we eat comes from the soil (according to FAO, 2015). Daddy always reminded me to make sure that the buds of the cassava cuttings point upwards. Cassava usually takes between 9 to 12 months to harvest. It was the longest waiting period of my childhood. After months of dutifully monitoring the cassava on our fertile and glamorous farm, it was time for a bountiful harvest. We harvested the cassava together as a family - lifting the lower part of the stem and pulling the roots out of the soil with our skilled hands. We completed the processing of cassava (fermentation, drying, and cooking) traditionally. Fermentation is necessary to detoxify the cassava roots. We peeled, cut and submerged a large amount of the cassava in water for about 4 to 6 days which we used to produce lafun - a popular Nigerian delicacy. We sliced the rest of the cassava into pieces and exposed them to the atmosphere which we later used for garri production. I was happy. Everybody was happy. There was enough food to eat for about three months. We saved money and we also had enough to give out. The 8-year-old me was a farmer, I had planted and harvested cassava. It was a great moment - perhaps one of my best childhood experiences. (Noun) The activity or business of growing crops and raising livestock. Have you ever felt the myriad of emotions that come with inhaling the unique and sweet scent of crops while basking under a flaming sunset? If you have, this will feel familiar, like your favourite t-shirt. If you haven't, you will come pretty close soon enough. Farming is more than just throwing in a few seeds in the ground, watching from time to time and remembering to water it occasionally. It is more than planting a few heads of corn so you can boil or roast it when it is ripe or just planting a few stem cuttings of cassava for garri or akpu production. Farming is art. It is also science. It is watching a seed germinate and become a little stalk and then growing into a full-fledged crop. It is deciding on a proper time to water your crops to maximize growth or trying to decide on the best proportions to apply your fertilizer. Farming requires not just your body through the physical effort of planting. It requires the alertness of your mind and the ability to predict and prevent the plant infestation. It is like nurturing a child because you need to be so in tune with the feelings of another, your plants. At this point, I need to curtail myself so you do not watch me go all lyrical on farming. But truly, farming is something bigger than any one of us. Farming is a world effort, a non-vocal way of showing you care for the world you live in. Farming, and by this I mean sustainable farming, is about looking out for the environment while combating food scarcity and climate change. The short video below puts it better than words can. It illustrates the Garden cress seeds germination time-lapse video; shot over the course of a 5 day period. Take a moment to watch this short clip, you have to agree it is a sight to behold! Still not convinced? The world population is growing at an alarming rate. According to the UN (2007), the current world population (7.7 billion) is expected to reach 8.5 billion by 2030 and 9.7 billion in 2050. Nigeria’s current population (190.9 million) is also expected to reach 263 million in 2030 and estimated by the UN to become the 3rd most populous country by 2050. The obvious implication is the high demand for food. If there are not enough farmers, if you and I don’t grow our foods, there will be a great risk of hunger and poverty. The youths are the next generation of farmers, we need to teach the younger generation about where our foods come from. We also need to equip them with tools, training, and opportunities needed to succeed in agriculture. Not only should you be a farmer, but the world also needs you to farm. The world needs you to survive. Do you know that the world relies on three major crops for more than 50% of its plant-derived calories? Essentially, of all the plant foods we eat, more than 50% comes from three crops - rice, wheat, and maize. Astonishing right? Rice may be even more important than corn as a food crop since corn is used for other purposes outside consumption. Rice is the source of more than 1/5th of all calories consumed by humans. It may also be the thirstier crop: according to the U.N, farmers need at least 2,000 litres of water to make one kilogram of rice. Over the years, the yield of these crops has plateaued. The world is eating faster than farmers can produce these crops. And by the world, I mean you and me. Soon, we will all be hungry. I am not sure that worries you, but it does worry me seriously because I like food. Now you’re wondering why should I care? Why do I have to be the one doing the farming? How about being part of something big, something greater than yourself? We need to protect the soil and preserve the environment. Trees help to reduce ozone levels, to remove carbon dioxide and other greenhouse gases from the air, which cools the earth. Animal husbandry creates jobs and keeps local food supplies healthy. The wastes from farm animals improve the soil. Without healthy and fertile soils, we cannot produce our food. Plant a tree today. Raise a farm animal today. Apart from the service you will be doing the world, which we thank you for, it is a gold mine waiting for exploration because food will always be a necessity. Farming is an evergreen opportunity because man will always eat. This is why talks on terms like land and water scarcity and agricultural biodiversity are increasing although these are not new concepts. (Noun) the variety of plant and animal life in the world or in a particular habitat. ﻿Every decade until 2050, agricultural production will reduce by 2% while demand will increase by 14%. First, given land and water scarcity, climate change and rising energy prices on the supply side, and growing markets for food, feed, and fuel on the demand side, global grain markets will be tighter in the future than over the past 40 years. Biodiversity is the variety of plant and animal life in the world or in a particular habitat. Biodiversity for food and agriculture is said to include the components of biological diversity that are essential for feeding human populations and improving quality of life. It is estimated that developing countries will, in some areas, show a decrease in agricultural productivity between 20-40% due to the effects of climate change. This may lead to pressure on natural resources. The conservation and sustainable use of biodiversity for food and agriculture play a critical role in the fight against hunger, by ensuring environmental sustainability while increasing food and agriculture production. It is imperative to do so in a sustainable way: harvesting resources without compromising the natural capital, including biodiversity and ecosystem services, and capitalizing on biological processes. To cope with all these challenges and uncertainties a large reservoir of genetic and species diversity will need to be maintained and sustainably used. This diversity will further help maintain and rehabilitate productive ecosystems to supply future generations with abundant food and agriculture. This is why these talks are necessary. Why we need to have these conversations around agriculture and more importantly why more of us need to be farmers. Today in Nigeria, agriculture is the new oil. But before we had oil, we had agriculture. Then, oil became the agriculture and now agriculture is fast rising to take its place back. This is one of those times where you can safely join the bandwagon on jumping on trends. “Agriculture is our wisest pursuit because it will, in the end, contribute most to real wealth, good morals & happiness.” - Thomas Jefferson. ﻿Over 90% of all farms are run by families and these farms produce 80% of the world’s food. So if you ate today, thank a farmer. 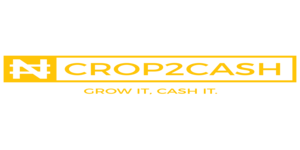 At Crop2Cash, we have a series every Saturday - #gardeningsaturday - through which we share helpful tips for farm owners and intending farmers. You should check out the hashtag on Twitter. In addition, we want to solve problems in every part of the supply chain. We are not just interested in solving the problems of the farmers but that of the biggest market for the farmers — the processors. Farming is not gender-specific, farming is not just for the old. Farming involves both male and female, young and old. We need to do better. We need to increase the availability of and access to nutritious foods. Food is much more than what is on our plates - we need water, soil, and most importantly a farmer’s dedication. Kindly leave a comment below and subscribe for more blog updates. FAO(2017). FAO hails UN resolutions honouring family farmers, bees, camelids and fisheries. Retrieved from http://www.fao.org/contact-us/terms/en/. Accessed on 15 January 2019. World Agricultural Production. (December 2018) Retrieved from https://www.fas.usda.gov/data/world-agricultural-production. Agricultural Biodiversity. Retrieved from https://www.bioversityinternational.org/agricultural-biodiversity/. [FAO] What is agricultural biodiversity? Retrieved from http://www.fao.org/agriculture/crops/thematic-sitemap/theme/compendium/tools-guidelines/what-is-agricultural-biodiversity/en/ Accessed on 15 January 2019. This made me fall in love with agriculture all over again. Thank you very much, people need to be enlightened and brought out of their ignorance. I hope this article spreads all around.